The only port listening on 0.0.0.0 is port 21....... which is a port that is reported as open. I THINK it's because the GameCP software was listening on 127.0.0.1 and not 0.0.0.0. Could OVH change the network configuration so that I can listen out on 127.0.0.1, purely because most Windows programs are hardcoded to listen on 127.0.0.1? 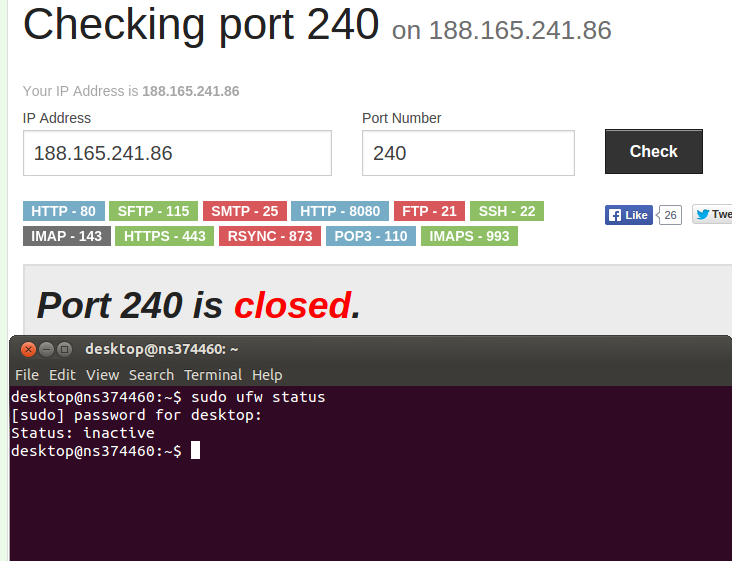 A 'closed' port suggests that there is no process listening on it? to show all processes listening on tcp sockets. And iptables is set to accept all traffic. So I'm stuck. Try with "ufw disable", maybe you have the "Uncomplicated firewall" enabled by default, it's the recommended alternative by Ubuntu. As far as I know, OVH/SYS does not implement any firewall, at least by default. Maybe it's something to do with a distro-default iptables configuration, used to happen to me with centos. 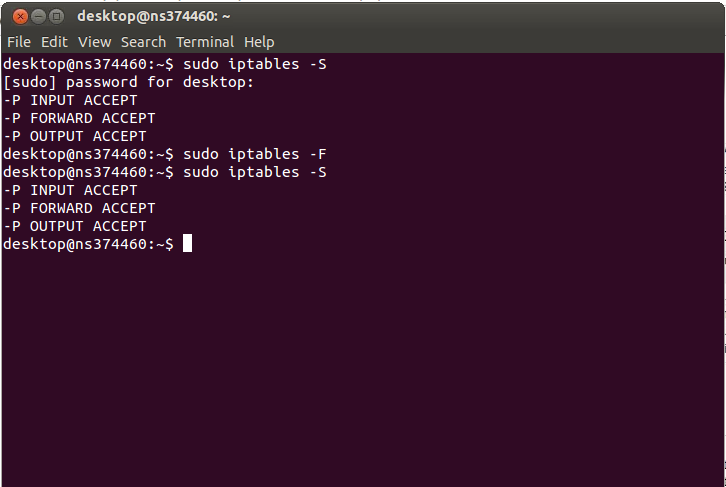 You can stop iptables "/etc/init.d/iptables stop" and try to connect again. Also, make sure your app is listening on "0.0.0.0", not "127.0.0.1"
Doesn't let me run "/etc/init.d/iptables stop"; "/etc/init.d/iptables: No such file or directory". Is it located elsewhere in Ubuntu 12.04? no, no block or firewall by default to limit the access to your port at all. as alvaroag says, do check your software firewall , but definitely no block, by default, on our side. Do give us the server name if you want us to check further. So I purchased the staggered monthly plan on a server yesterday, but it seems as though all ports except 443 and 21 are blocked by default? I'm using the Ubuntu 12.04 Desktop distro, and I had Windows Server running in VMWare, however I installed GameCP on a separate web host and it can't connect to the server on port 240. I even tried a non-standard port but it still doesn't work. Now, is it to do with iptables on the Linux host, or does OVH/SYS explicitly block most ports? I'd really like to get this sorted, because I don't want to cancel and have to go through the hassle of finding another host.